But, a second look reveals more of this history. Lemon trees dangling fruit in front of apartment buildings, naval oranges hanging over cinder block walls, grapefruit trees, heavy with fruit, growing through telephone wires. 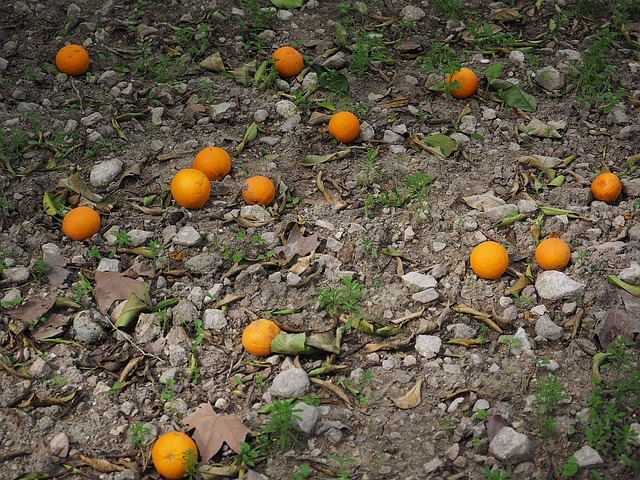 The San Fernando Valley is full of fruit, most of it food for rats or considered a nuisance as it falls to the ground. Cleaning up fallen fruit was a seasonal job while growing up. I grew up in this land of citrus and watched as people with lemon trees in their back yards purchased lemons from the store. It is not because something was wrong with the backyard lemons, the trees are old but healthy. 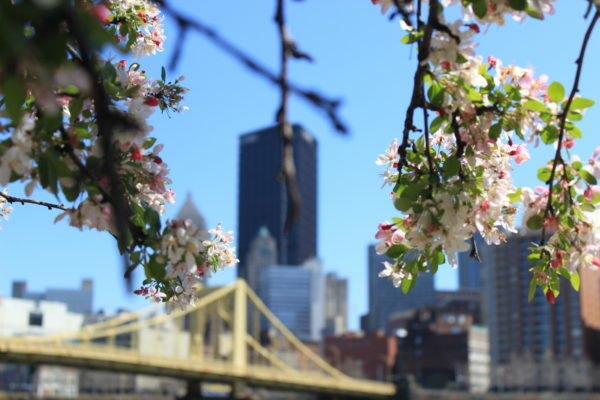 People in urban neighborhoods are trained to see plants as nothing more than landscaping. The connection simply isn’t there. As a young adult I spent a year in Seattle, a city at war with English Ivy and blackberries. I volunteered for invasive species removal work days, it felt like fighting a war against an enemy that can’t die. I also started eating the blackberries. These don’t grow in my home of Southern California but we do pay $4 for a palm-sized box of them. It seemed odd to be at war with such a valuable plant. Then I realized that the citrus rotting on the ground in my home city must appear a waste to the people of Washington. 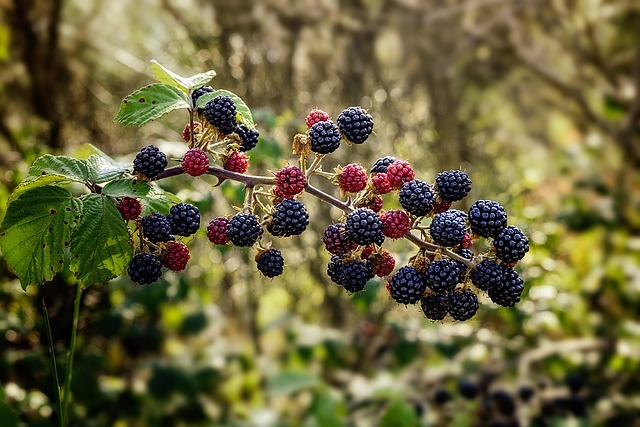 In Seattle, these blackberries are considered an invasive species. Our cities and suburbs are full of fresh, free food. Urban foraging saves money but more than that it changes our relationship with our neighborhoods. You start to visit a certain back alley every February for the Mandarins you have come to love. The city park becomes a place with the best juicing apples. You connect with your neighbors by asking if you can harvest from their pear tree. In exchange you offer them some of your garden produce. Your hunter-gatherer instincts begin to reawaken. Don’t take a chance, if you are not sure if the food you are harvesting is edible, don’t risk it. Unfortunately, our neighborhoods are full of pesticides, herbicides, car exhaust, dog pee and many other things we don’t want on our food. Look for clean food free of these contaminates (pristine manicured lawns are often a sign of herbicide use). A weed is simply a plant we do not want. A weed in one part of the world may be considered a valuable crop in another. 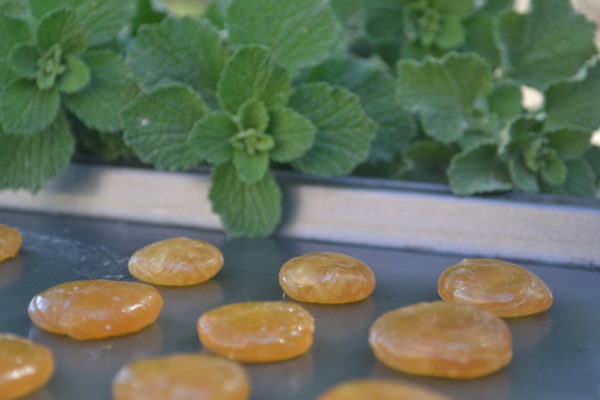 Learn to identify edible weeds in your area and be open to trying them. Many are full of nutrients and tasty. Some common edible weeds include dandelion, purslane, lamb’s quarters and fennel. 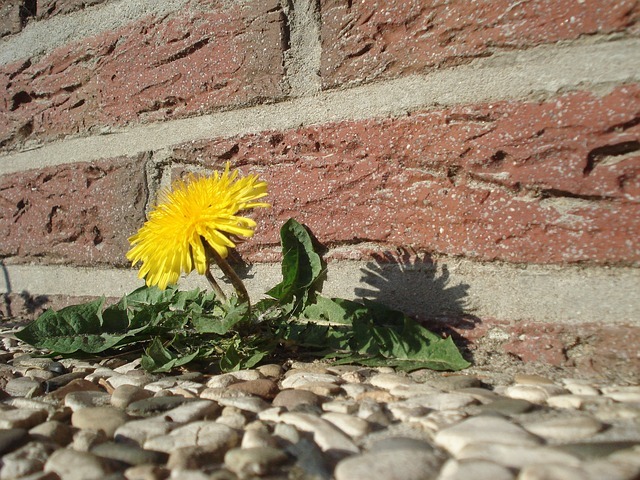 One of the most common weeds, dandelion, is now sold in natural food markets and the seed is available to buy. Don’t break branches to get that perfect pear. Do not pull up a whole plant just for a few leaves and do not harvest any more than one third of a single plant. Urban foraging doesn’t just have to be about food. I have foraged flower arrangements from car dealership’s landscapes, bookcases from back alleys, and bamboo poles from neighbors happy to have them cut down. I have approached neighbors who were pulling overgrown agaves out of their yard and asked if I could have them. They were happy to oblige. These agaves go for $50 in nurseries. We live in an extremely wasteful society and foraging helps divert the waste stream. Ask your neighbor if you can harvest from that orange tree you have been eyeing. Chances are they will be happy to say ‘yes’ as it means less clean up for them. This practice also builds community. Make sure to offer them something you have grown in return or, if elderly neighbors, offer to pick some of the fruit for them. Asking a car dealership to harvest flowers from their landscape may feel awkward, go at night and don’t get caught. There are all sorts of great books out there but nothing matches a live teacher. Foraging classes are popping up all over and easy to locate online. If you live in Los Angeles Pascal Baudar is the man to see. Also check out the website of the art collective, Fallen Fruit, who publish maps of city fruit trees accessible to the public. 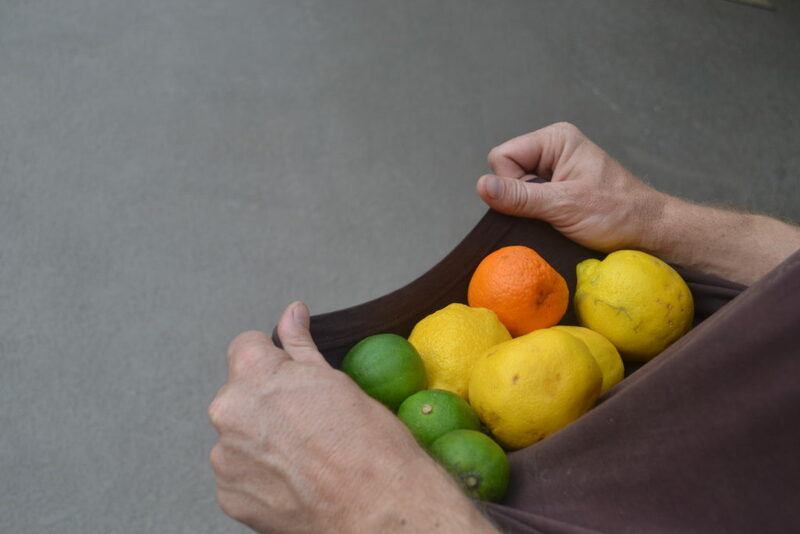 Bag: Don’t try to fit ten grapefruits in your outstretched shirt. Keep a good tote bag in your car for those times that perfect tree catches your eye during your commute. Fruit Picker: This is an inexpensive tool that allows you to pick fruit out of arm’s reach. Don’t get stuck without a bag when urban foraging. My hope is that forward thinking landscapers will begin to use more edibles in city landscapes. Imagine our streets lined with beautiful trees that are heavy with ripe fruit. 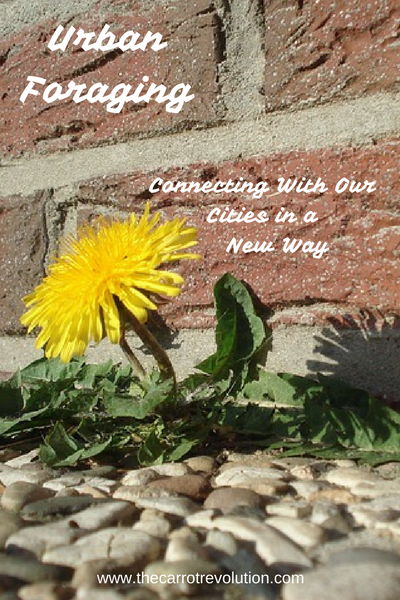 Urban foraging helps you see the potential for a city where healthy food is accessible to everyone. 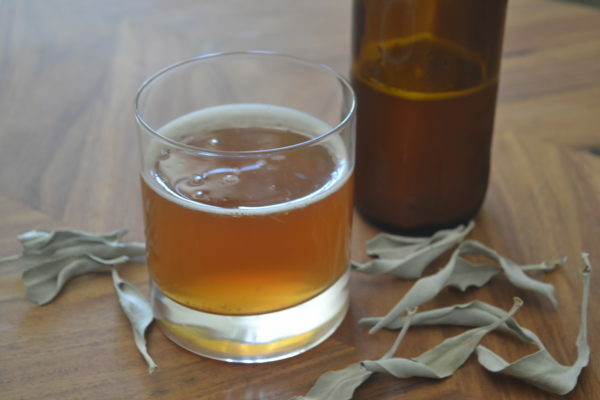 Check out this post for my favorite urban foraged recipe. 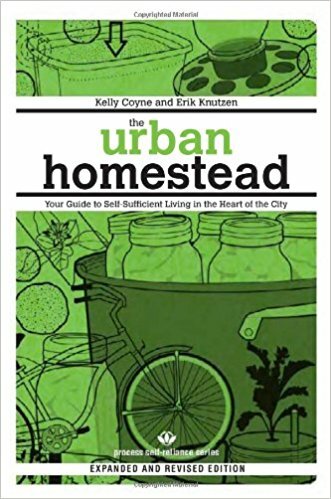 Do you have a favorite urban foraging story? Share it in the comments below.